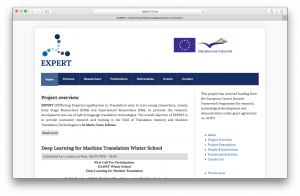 The EXPloiting Empirical appRoaches to Translation (EXPERT) project is an FP7 Marie Curie Initial Training Network which has two main objectives: As a training network, the project is preparing 15 Marie Curie fellows to become future leaders in the field. This is achieved by employing 12 Early Stage Researchers (ESRs) and three Experienced Researchers (ERs) at one of the nine partners in the consortium, by organising dedicated training events and enabling intersectoral and transnational secondments. 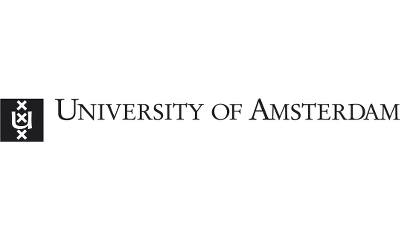 The researchers employed in the project work together with established researchers from the consortium to promote the research, development and use of hybrid language translation technologies. All the ESRs are registered on PhD programs at their hosting institutions and complete secondments at partner institutions in order to experience different sectors and develop transferable skills. The ERs are employed by the industrial partners and are developing commercial solutions based on some of the research carried out by the ESRs. 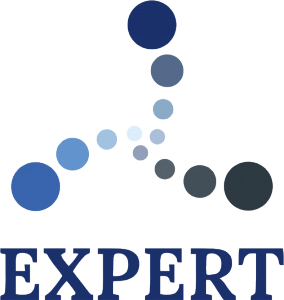 For more information please visit www.expert-itn.eu. This project has received funding from the European Union’s Seventh Framework Programme for research, technological development and demonstration under grant agreement no. 317471.